Merry Needfest fellow Greyhawk fans! After a week lull I'm again set to promote the third chapter of our ongoing Castle Greyhawk graphic novel. Check out page eight and read some dynamic exposition by seasoned author Scott Casper. On our site you can also check the archives and follow the entire Castle Greyhawk story from the very beginning. Artist's Commentary: This page was a lot of fun to draw. Little touches were fun here like the subtle glow of a magic sword or billowing phantasms reacting to a spear. In the previous installment Murlynd used a scroll to summon a noxious cloud and now Tenser uses a beefed up version of a spell he invoked back in chapter two atop the bandit parapets. No simple magic missiles and fireballs for this group. I can't wait to see what they cast next! Well met, it's almost time for Needfest in the World of Greyhawk and I figured, what better time is it to gift a few 5E conversions upon the loyal fans of the Flanaess? These three magical treats come directly from the pages of the classic sourcebook, Greyhawk Adventures. 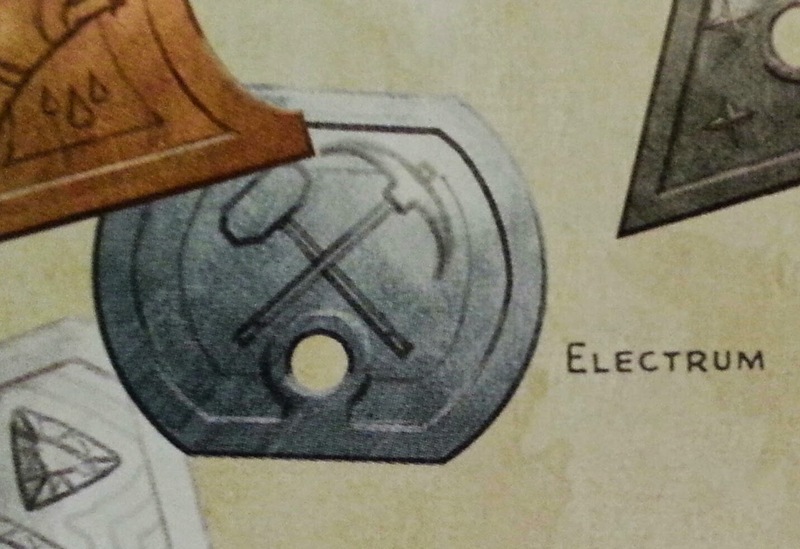 It's my first stab at adapting magic items to a new edition on this blog, so it's important to point out that the material below is originally the work of James M. Ward and is of course wholly owned by Wizards of the Coast. Enjoy, and Merry Needfest! 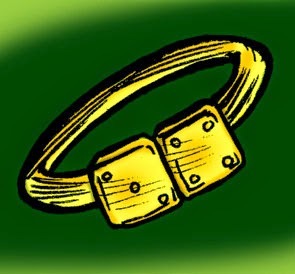 This magical ring was created by a wizard who liked to gamble, though his greatest gamble was to use it under the suspicious eyes of the Thieves Guild. The ring increases a gambler’s chances of winning, and is prized among the rogues of the Wild Coast. While worn, the user gains Proficiency in any ability checks using a dice set. 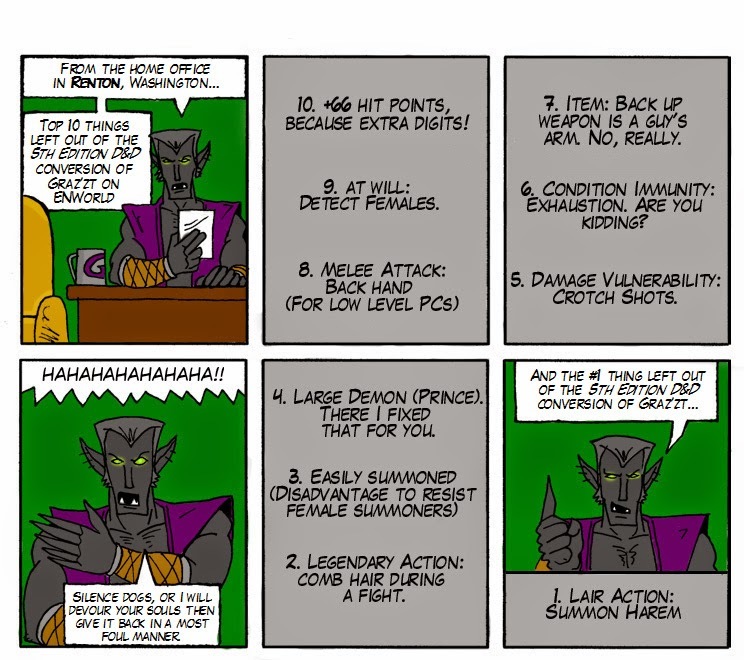 Furthermore, you have advantage on any ability checks that involve gambling with dice only. 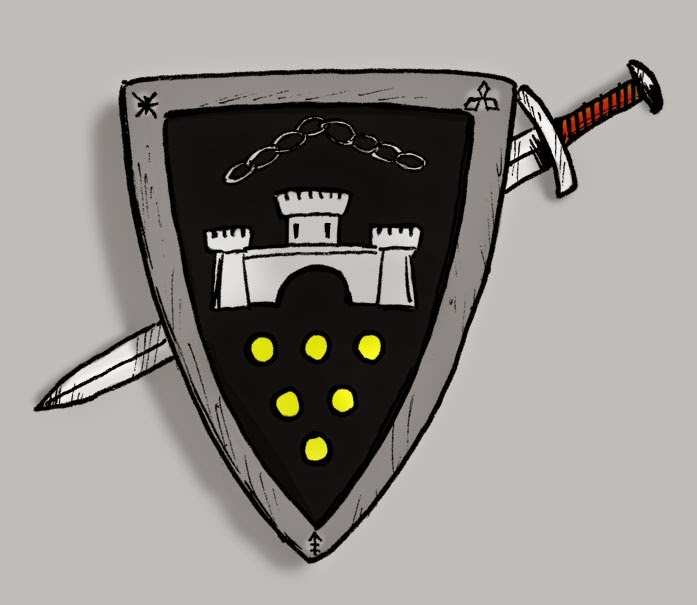 This metal shield bears Greyhawk’s coat of arms, and was created by the Society of the Magi. It now hangs in the audience hall of the Lord Mayor’s mansion, and is well guarded. While holding this shield, you have a +3 bonus to AC. In addition you can use an action to cast the dispel evil spell. The shield can’t be used this way again until the next dawn. 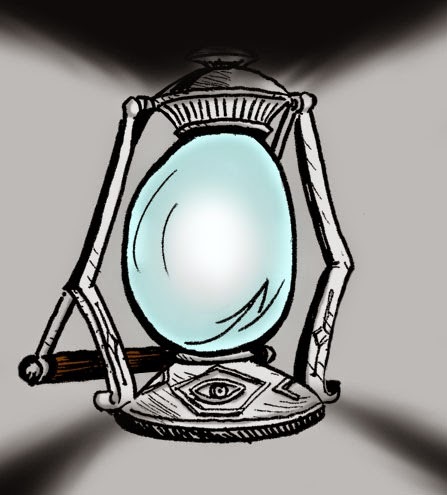 This hooded lantern was found by looters in the abandoned castle of Zagig Yragerne, the Mad Archmage. Exactly why he used it remains a mystery, though many people suspect that it served as a guard against the supernatural creatures with which he dealt. While lit this lantern burns for 6 hours on 1 pint of oil, shedding light in a 30-foot radius and dim light for an additional 30 feet. As an action, the lantern bearer can shed a magical light for up to 10 minutes that renders all invisible creatures and objects visible. Likewise, out of phase and ethereal creatures and objects appear ghostly and translucent. This magic light also automatically turns or destroys undead within 30 feet as a 14th level Cleric. Hey folks, it's been a slow week so I have a question/request for the Greyhawk community. 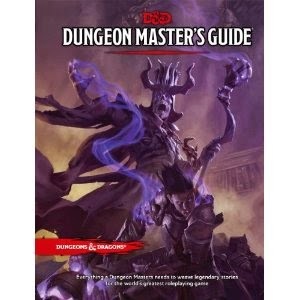 Has anyone started doing conversions of published Greyhawk material (monsters, magic items, spells, etc) for the new edition of D&D yet? If so I'd love to check them out and possibly even feature them here on the blog. I'll eventually try my own hand at converting once I'm more familiar with the system. Happy gaming and happier holidays. Welcome back friends of Greyhawk! After some technical issues I'm ready to promote the third chapter of our ongoing Castle Greyhawk graphic novel. Check out page-seven and read some essential story script by stalwart writer Scott Casper. On our site you can also check the archives and follow the entire Castle Greyhawk story from the very beginning. Artist's Commentary: This page posed a challenge for me not because of anything to do with Scott's direction, but because my laptop died halfway through finishing up the photoshop and text. I lost my hard drive and about five hours of work. Somehow I have major computer problems every holiday season for the last several years. Since I saw this issue coming I already had a new laptop at hand, but I have a problem with clinging to old technology way to long and I have a habit of forgetting to back up files. So yes, I pretty much had to do this page twice. Not a process I want to repeat. About the art itself, I love this page. There's some good action poses of several different characters, not just one or two taking up all the screen time. Also, I kinda like drawing these ogres. 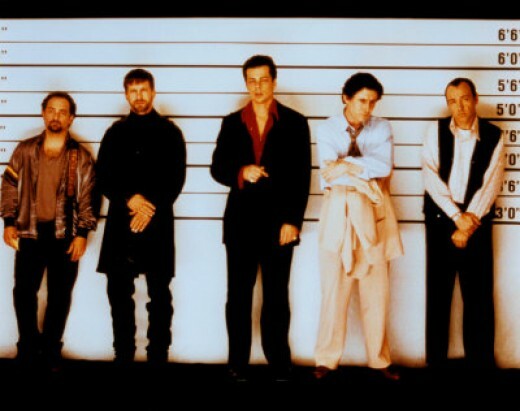 I like to imgaine each one has his own personality and backstory. The horned ogre is like the chief/father of this tribe, while the ogre with the wolfskin is the most capable hunter. His beady friend is young and prefers to use a cleaver than get his claws dirty, unlike the ripped howling berserker ogre whose hands are scarred from battle. Then there is the spear wielding ogre from chapter one who has seen action before and likely lost some face after his rear was set on fire. Lastly there's the half-burnt ogre who evidently had a run in with a fireball once and his hefty, warty pal who's in the back of the party for more reasons than one. Unfortunately, I think this experienced group of adventurers will make short work of the ogre clan. Ah well we shall see, more next time. Good news on the Greyhawk community front. The longest running D&D fanzine, Oerth Journal is springing to life yet again with an announcement of an upcoming 27th issue! The theme is Races of Oerth and if I know the staff of writers like I do this should be a quality issue. Stay tuned! p.s. welcome back to the OJ, Duicarthan! With October and Halloween winding down let's have a look at some places in Greyhawk that are quite spooky - that is to say spookier than most adventure locations in the Flanaess. The Tomb of Horrors goes without saying so I'll go from there. In no particular order, enjoy! 1. C2, Ghost Tower of Inverness: For obvious reasons, this is always one of the first places that pops into my mind when I think haunted. Located in the Abbor Alz Hills, the object of this classic first edition module is for the numinous Soul Gem. 2. Dungeon of Bleeding Walls: This place just sounds nasty. Nominally set at map coordinates N3-64 in the Wastes, this dungeon is featured in the boxed set Iuz the Evil. It's a place of wererats, vampires and of course, acidic bleeding walls. Would you stay in a dungeon that was bleeding? 3. Necropolis of Unaagh: This eerie location set in the Bright Desert is from the sourcebook WGR3, Rary the Traitor. Unaagh is the ancient burial ground of the evil realm of Sulm, a place where virtually any kind of undead can be found and lording over all is the lich Drokkas who has aspirations to restore Sulm as an empire of death (watch out Rary!). 4. Saltmarsh: U1, The Sinister Secret of Saltmarsh is one of those seminal works of Greyhawk that every DM should run for their players once in their life. The story unfolds in the haunted mansion of an evil alchemist. No spoilers for this secret site, you'll have to check it out yourself! 5. Gibbering Gate: Set in of all places the Barrens, one of my favorite scary Greyhawk locations is the underrated insane asylum, Gibbering Gate. 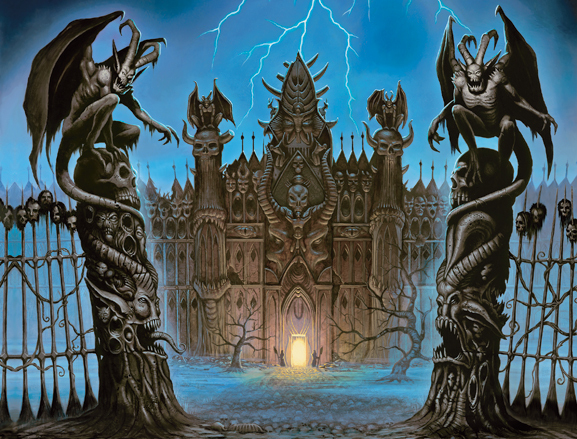 Found in the source book Iuz the Evil, this citadel is run by the illusionist Jumper and includes many demons and undead, notably a balor who presides over the Court of Delirium. This is a good spot for a DM to stick high level PCs who offend the Old One because they might get out but not with their sanity intact. 6. Halmadar's Crypt: The 2E module Vecna Lives! is a high level study in the use of horror and overwhelming evil. The mood is set early on as the story begins at the crypt of Halmadar the Cruel in the Kron Hills. The fact the Circle of Eight is doing the investigation is your first clue this is a place normal folk shouldn't poke around in! 7. WG4, Forgotten Temple of Tharizdun: Lost amid the vast Yatil Mountains, there is no place on Oerth that best embodies the strange madness inducing themes of H.P. 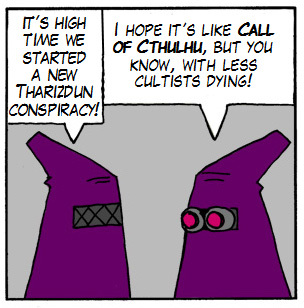 Lovecraft than WG4. What starts as a standard dungeon becomes quite harrowing the farther in your explore. This module is only for the bravest PCs and the most demented DMs. 8. The Caves of Deadly Shadows: Found in the 2E boxed set From the Ashes, this Yatil Mountain location set in hex R5-81, just sounds like a terrifying place to lure characters into. Besides the normal hazards of spelunking, there is your normal variety of undead shadows here as you would expect. But that's not all! The caves are also home to many other kinds of shadowy creatures, all ready to pounce on hapless heroes such as shadow dragons, skulks, nabassu and yes even the characters' own shadows. Yikes. 9. Maure Castle: The site of WG5, Mordenkainen's Fantastic Adventure, is in my opinion, easily more fearsome than its more well-known neighbor to the west, Castle Greyhawk. The denizens and dangers of this place, from the Great Iron Golem to wandering bodaks and the guardian demon Kerzit are unconventionally scattered so that foolish heroes may not expect trouble until it hits. 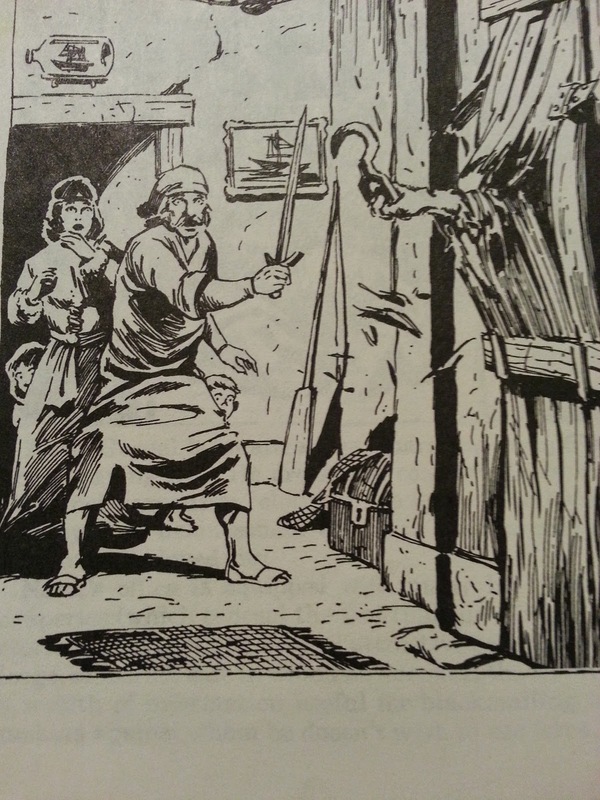 Expanded upon in the pages of Dungeon Magazine (#112 and beyond), there is a creepy backstory to the Maure family that underlies the placement of every room and treasure in this megadungeon. 10. T1-4, Temple of Elemental Evil: Naturally this place is among the scariest locations in Greyhawk. The original cover of this module is easily the most frightening in all the game, if not D&D itself. Nestled in the wilderness near the good nation of Verbobonc, we've all heard the Temple's story and this place has been returned to on more than one occasion across the editions. Much like WG4, this module deals with evils so iconic and powerful it defies logic why any sane person would go into this place. This is an off-theme topic for today. 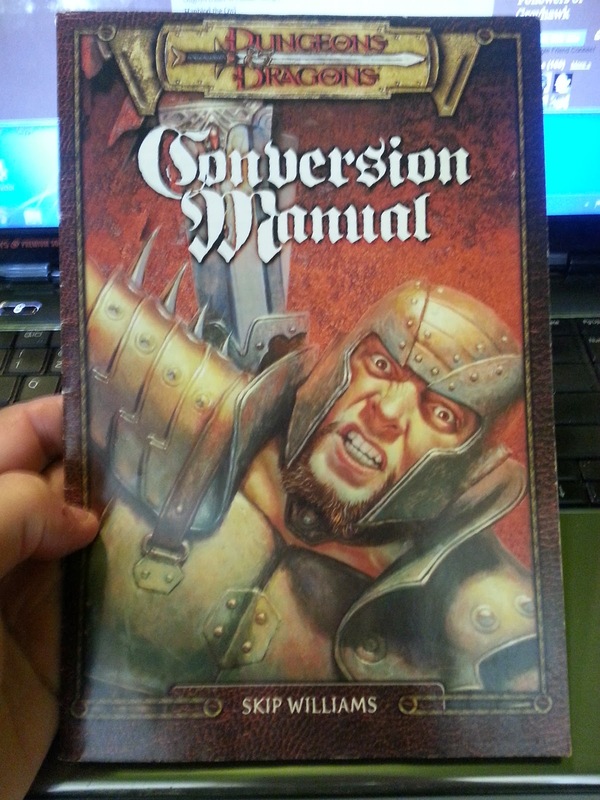 Going through my piles of old D&D material I came across an interesting paperback document I bet not many people still possess, the D&D Conversion Manual by Skip Williams. More specifically this was the manual to help switch your 2E characters over to the then new 3E rules. I remember this booklet being a big deal. My group had played 2E for quite a long time and the rules to 3E were slowly being leaked in Dragon Magazine to drum up interest. I believe it worked, because the campaign we were in the middle of when the books hit the shelves was switched over to 3E thanks entirely to this document. In 22 pages Skip made us forget about 2E, showing how exceptional strengths like 18/91% was now a more impressive sounding 22 strength. The manual broke us of THAC0 and we learned Armor Class now went up instead of down. There was also three new streamlined saving throws down from that old clunky five. All the nonweapon proficiencies we grew up with were repurposed into skills with ranks like Etiquette became Diplomacy, Mountaineering became Climb and Healing became well, Heal. Class names changed, spell names changed, magic item names changed. Then there was feats. Actually, those needed no converting from last edition cause it was completely new and shiny, but they were teased at to get your interest. It wasn't long though before it before we realized it was too much work retrofitting our favorite PCs to the new edition and just rolled with a new Greyhawk campaign. The rest is history. By the way I am not panning 2E, it was extremely fun and lasted a long time and I would play it again if someone else ran it. What I am panning is 4th Edition. I can't remember, but did Wizards do a similar conversion document or marketing campaign for 4E? I doubt it, and if they did it certainly didn't work. With 5E however, I feel it has the same word of mouth appeal that 3E had, though as far as I know there is no conversion documents to support it either (though I'm sure smart minds are working on it). And though the ability to spread hype through magazines is gone, the 5E playtest packets, the convention rules previews, online sneak peeks and the release of the free PDF Basic Rules went a long way toward establishing that buzz in the game. That has to be a reason why I'm excited about 5E going forward. That said, whatever edition you enjoy, go with it I say. I'm about to run a special Halloween session of the AD&D Ravenloft module using 3.5E. The module as written is perfect, but it's easier for me to convert to 3.5 rules on the fly now. I got Skip to thank for that. Welcome back Greyhawk mavens! It's time to continue with the third chapter of our ongoing Castle Greyhawk graphic novel. Check out page four and see lead in dialogue by fantasist Scott Casper. On our site you can also check the archives and follow the entire Castle Greyhawk story from the very beginning. Artist's Commentary: Ah it's a classic homage this installment. It's going to be interesting to see how a wizard-fighter heavy group navigates this chapter. This page is a prime example with poor Tenser being relegated to a task usually left to the more roguish types. Tenser does have climbing experience though, for those who remember chapter one's adventure in the big oak tree against giant centipedes! I've been enjoying the lighting and mood of this story. Serten's continual light stone has been a minor artistic pleasure to me. You always hear about those magic baubles in home games (remember the old continual light coin in a tube trick?) but to see one rendered is fun. One more thing. While the party searches the big statue, what is Murl and Mordy up to? I can't wait to see what sort of trouble this group gets into next time! Welcome back Greyhawk fanatics. 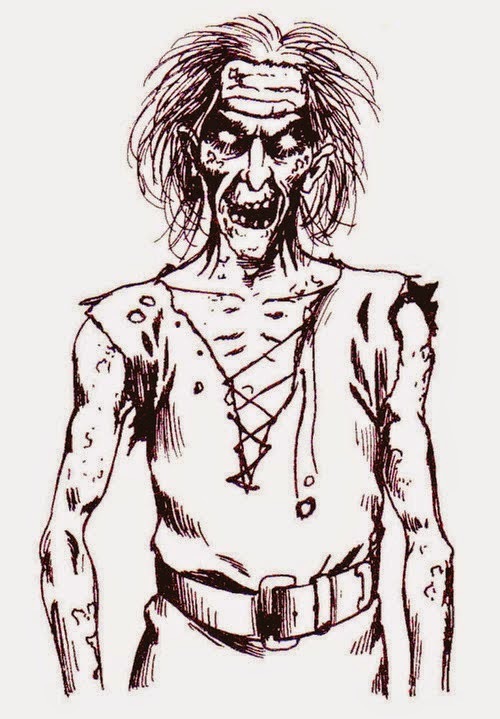 On this busy weekend I haven't had much time to write or draw anything, so I decided to dig into my old campaign notes and see what crazy Greyhawkery I was creating 25 years ago. Back in my youth I used to take awesome notes and historical records of everything. I've grown lazy in my old age evidently. In my digging through timelines, hand-drawn maps and old character sheets I found a list I made of Important People & Places from my "Golden Age" of Greyhawk, the 1st Edition AD&D. The list below isn't complete, but perhaps some of these location names and NPCs will spark the imagination of some DMs out there. I cannot remember what hardly any of these concepts used to be or why they were so important back then, so feel free to use these ideas however you see fit. 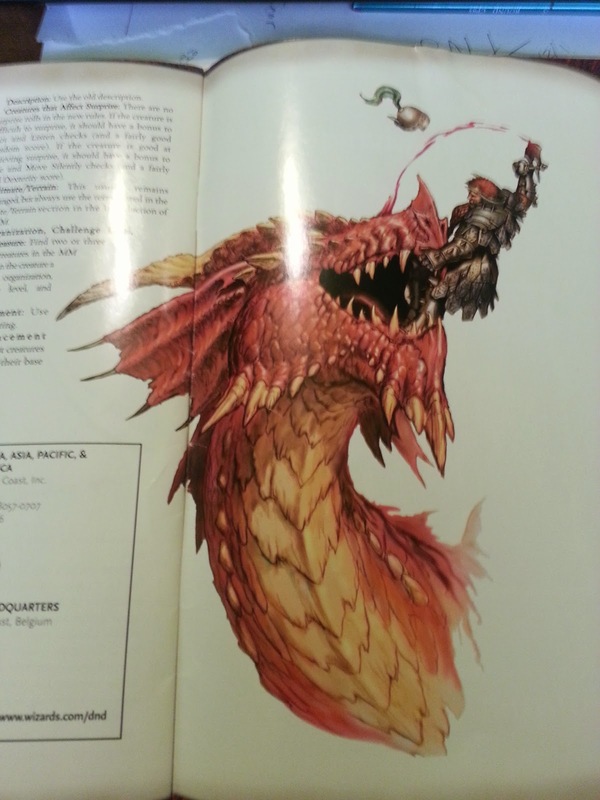 So I've been skimming the new Monster Manual this month and I have to say overall it's my favorite since the first MM in 3rd Edition. This book has just the right balance of fluff and crunch. The stat blocks seem to owe more to 4th Edition than prior iterations, but I have no complaints with the mechanics nor is this a review of that subject. The fluff is what I enjoy reading; and depraved as this may sound, as a Greyhawk fan I'm inevitably drawn to the section on Demons. The manual entry provides several well-written sections on everything about demonkind from how they elevate in power to abyssal invasions and demonic amulets. Demon summoning and binding is covered, including the obligatory mention of my two favorite tomes, the Book of Vile Darkness and Demonomicon of Iggwilv. "Rewards for Outsiders. Although most demon lords rise up from the vast and uncountable mobs of demons rampaging across the Abyss, the plane also rewards outsiders that conquer any of its infinite layers. The elven goddess Lolth became a demon lord after Corellon Larethian cast her into the Abyss for betraying elvenkind. Sages claim that the Dark Prince Graz'zt originated on some other plane before stealing his abyssal title from another long-forgotten demon lord." Yes, evidently during last edition those wily sages expounded that Graz'zt might have been an arch-devil of Hell before leaving to take on the Abyss. That explains his more human-like appearance and demeanor. Graz'zt is one of those characters that has an abundance of backstory accumulated over the editions and novels. Graz'zt has a full family tree of demons and demigods and to think he started on a different plane is a development I like. I can only imagine the other lords hate Graz'zt and Lolth even more because of their migration. The manual continues with sections on regular demons, bringing back the classic "type 1-6 " designations based upon strength. 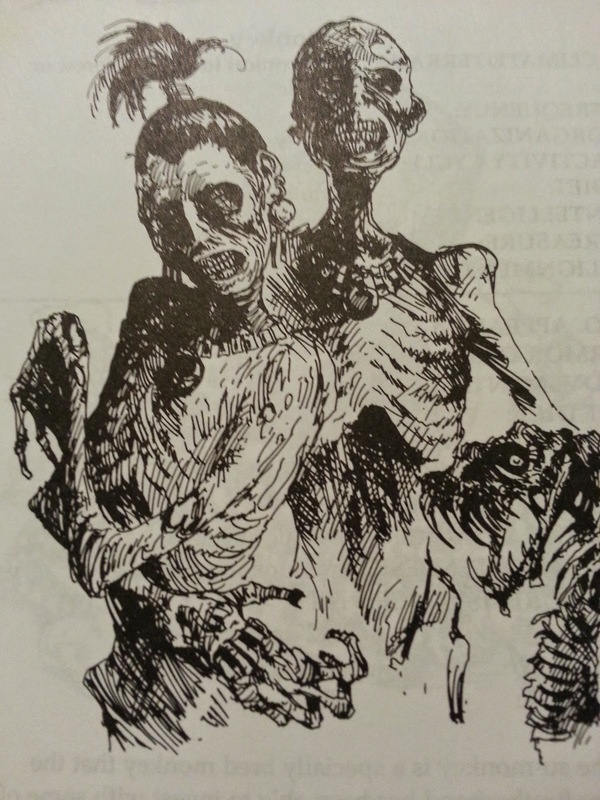 I also like this edition's demon entry because they've included Yochlol the rarely seen vile Handmaidens of Lolth. In addition I am pleased to see the Goristro featured again. 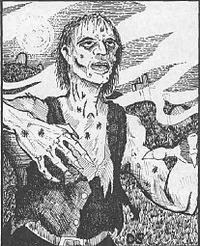 This titanic demon got his AD&D start in Dragon Magazine then later only popped up in supplemental books, yet recently the Goristro is now a core book critter. That's all for now. Happy gaming! Thank you for returning loyal Greyhawk readers! I'm here to further promote the third chapter of our ongoing Castle Greyhawk graphic novel. Check out page three to read bonus exposition by the sagacious Scott Casper. Alternatively you can view the page HERE, courtesy of Maldin's Greyhawk. On our main site you can also check the archives and follow the entire story from the very start. Artist's Commentary: I'm starting to like this chapter a lot. Not only is there a big cast of notable characters, but I've been artistically employing techniques I've refined from the beginning of this story to present. One such thing is lighting and shadows. The cave in this full page scene is not the busiest background I've drawn, but it's definitely the best and most shadows I've done to date. Practice makes perfect. As reported at ENWorld, there is a nifty free download by member Bumamgar that converts encounters, monsters and magic items from S2 White Plume Mountain to 5th Edition rules. It's not an overly long document which is good and the conversions of Blackrazor, Whelm and Wave are worth checking it out alone. For those DMs who are changing with the editions I'm sure this will be among the first of many such Greyhawk related resources to come. One of my favorite things about Greyhawk's deity lore is Kelanen the hero-god of swordsmen and his two intelligent swords Sureguard and Swiftdoom. There is probably plenty of examples of intelligent weapons in fantasy literature and D&D in general, but does any character have TWO of them? Kelanen might not be so fortunate however as my comic from 2010 suggests. That's because intelligent items don't always have the same intent as their owner. Check it out and enjoy the puns! p.s. be sure to read the annotations at the end of the comic. I can't believe how this topic even got started, but it was odd enough that I compulsively researched it for here. This week our Sunday gaming group was preparing to make new D&D characters, a task that has been done time and time again over decades. The DM for this new edition is not me, but my friend stated early on he wanted to use encumbrance rules. Thus began the frenzy to make weight under "encumbered". A lot of home games ignore encumbrance rules for expedience which is fine unless you consider the spirit of D&D has always been about trying to simulate the experience of delving a cave in full gear. 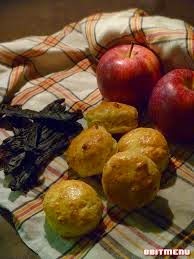 That frenzy led to of all things, another glossed over item, rations. Apparently 5th Edition rations weigh too much. Let's compare! To start, 5E lists "Rations (1/day)" as dry food, jerky, dry fruit, hard tack and nuts. I'd say that can be considered preserved food. For 5 sp you get 2 lbs of rations that is supposed to last a day. That would be 14 lbs for a week of food which according to my friends is ridiculous even for a simulated fantasy game. Let's start going back editions and see. In 4th Edition (thank you D&DI subscription) Rations per day are pretty much the same cost, 5 sp but they weight only one lb. If this seems more reasonable that's because it was the standard for a long time. Long lived 3rd Edition (and it's offspring Pathfinder) have a day of Rations at 5 sp and a weight of 1 lb. There is a notation in these OGL products that rations weigh a quarter of the listed amount when made for Small characters. So Halfling rations weight .25 lb.? This laughable notation was already called out as bunk by my friends. Fine for containers and clothing, but not food. Let's move on. 1st Edition (and perhaps 2E as well) handled rations slightly differently (as well as encumbrance). There was Standard Rations (unpreserved food) and Iron Rations (preserved food). My guess is "iron" was dropped in later editions and was the default ration. Standard rations for one day cost 8.5 sp (4.3 sp in today's exchange rate) and 28.5 coin weight. Coin or g.p. weight was the encumbrance system in early D&D and was an abstract of actual weight and bulkiness. 10 coins = 1 lb. Thus, standard rations weighed almost 3 lbs. That's the unpreserved stuff mind you. Iron rations which is our focus, come in at 14.3 sp (7.1 sp) per day and weigh 10.7 coins, or a tad over 1 lb. Par for the course right? And now to be complete, old red box Basic D&D used a similar coin weight system to AD&D. They too had Standard and Iron Rations. Interestingly, the descriptions say standard rations are good for throwing to monsters for a distraction. Never considered that. Anyhow, basic food is expensive. One day of Standard costs 7.1 sp and one day of Iron is a whopping 21.4 sp. Basic rules liked to be expedient with gear weights as they focused on treasure carrying. According to the rules, all an adventurers' miscellaneous gear and provisions (rope, spikes, sacks, wineskin, rations, etc.) weigh 80 coins, a measly 8 lbs! This of course could be chalked up to the fact its not bulky if stored and carried properly. Going by advanced rules, if you only carried a week of iron rations that would come out to about to 7 lbs. I'm sure rope and bars of metal weigh more than biscuits and dried meat, but hey that's why its basic rules. Back to the present, why in the world did the 5E designers think rations needed to be upped to 2 lbs per day? I know weights probably fluctuate for all gear through-out D&D's history, but as you can see Rations had been fairly consistent until now. If encumbrance and food is diligently tracked in a campaign, carrying a week of food for these hapless adventurers becomes a very big deal. Is that small bag of gold more important than their next meal? Time to buy a mule. Welcome back Greyhawkers! At long last I'm happy to promote page thirty-two the final installment in the second chapter of our ongoing Castle Greyhawk graphic novel. Follow the links above to get bonus script from imagineer Scott Casper. Alternatively you can view the pages HERE, courtesy of Maldin's Greyhawk. Artist's Commentary: This chapter certain has been a fun ride. The action was ramped up and ongoing from early-on and the way it ended it just how I'd want it to if this was played out in my home campaigns. As always, Scott has a clear vision of how his story should be portrayed and I do my best to make those visuals come true. I've said it before, so much of my favorite art in Castle Greyhawk has been rendering the fabulous landscapes these characters travel through. From dungeons to bandit forts or ruined walls, I have never done so much detail on backgrounds in my life. That alone has been worth the time spent the last two years. I can't wait to see how Chapter Three develops. Stay tuned! Appendix B: Gods of the Multiverse gives a nice short explanation on how the Greyhawk pantheon works, with its ethnicities and overlapping portfolios. There is a list of 25 Greyhawk gods near the back of the book, along with separate lists of Forgotten Realms (37 if you're keeping score), Eberron, Dragonlance and Nonhuman deities. For comparison, there were 14 Greyhawk-specific deities when the setting was default in 3rd Edition's core rules. The later splat books added at least 24 more Greyhawk gods, some of which are already in this new book, so 5th Edition is clearly already off to a grand start. Beory, goddess of nature, symbol green disk. Easy enough! Boccob, god of magic. Eye within a pentagram. Mentioned among a list of other Knowledge Domain gods like Thoth. Yes, you need him. Celestian, god of stars and wanderers. Symbol is an arc of seven stars inside a circle (This obscure symbol is right). Nice surprise there, was last mentioned in Complete Divine. Ehlonna, goddess of the woodlands. Unicorn horn. A good holdover from 3E. Erythnul, god of envy and slaughter. Blood drop symbol (Naturally). He gets props in the War Domain section for clerics. Fharlanghn, god of horizons and travel. Circle crossed by horizon line. True. Nice to see he stayed on. Heironeous, god of chivalry and valor. Lightning bolt symbol. No brainer here, from the War Domain listing as well. Hextor, god of war and discord. Six arrows downward in a fan. Can't have a War Domain without Heironeous' brother. Kord, god of athletics and sport. Four spears and four maces radiating from a center point. I guess I never paid much attention to the lines, but they can be weapons evidently. Incabulos, god of plague and famine. Reptilian eye with a horizontal diamond. Good to see this underused god of death moving up in the lists to see. Istus, goddess of fate and destiny. Her spindle symbol is on target. She too is brought up to the main list again, as should be. Iuz, god of pain and oppression. He of the grinning human skull symbol was in Complete Divine like so many non-core deities, but when making a short list of Greyhawk gods he has to be on it. Nerull, god of death. Skull and scythe symbols are easy enough to imagine when it comes to a death god, and it's proper that Nerull is on this list. Obad-hai, god of nature. He of the oak leaf and acorn carries on the Nature domain tradition in the cleric section. Olidammara, god of revelry (not rogues?) The man of the laughing mask symbol made the Trickery Domain along with my favorite, Loki. That implies rogue I guess! Pholtus, god of light and law is instead mentioned among Light Domain deities like Apollo. Ralishaz, god of ill luck and insanity, with his three bone casting sticks, sneaks onto the core lists for the first time! Rao, god of peace and reason is another good knowledge god. His white heart symbol is correct, though some show a heart shaped face. Rao like others previously only made it into Complete Divine. St. Cuthbert, god of common sense and zeal. He is listed as LN this edition which keeps changing between editions from LG to LN. A move I can only guess is to round out the alignments on the list. Tharizdun, god of eternal darkness has both his familiar dark spiral and inverted ziggurat symbol. He is given the Trickery domain which is odd, but there isn't an extensive list of domains yet. Trithereon, god of liberty and retribution is back in the big leagues. His Triskelion symbol is correct. Ulaa, goddess of hills and mountains makes for a good choice for this list as she is LG and a female deity (one of five). She had never been in a 3E core book previously. Vecna, god of evil secrets of course has to be here. His Hand and Eye symbol is unmistakable. He is one of seven knowledge gods in this list. Greyhawk has a lot of lore. Wee Jas, goddess of magic and death finishes off the list. One of four death domain gods on the list, it's good she is also the Knowledge domain or players might not be able to make a character of her with current rules excluding Death Domain until the Dungeon Master's Guide comes out. All in all it was a respectful showing of Greyhawk's pantheon and the information concerning them. I look forward to seeing what other gods can be brought into focus in the coming years. Welcome back Greyhawk maniacs! Because of Gen Con and reporting on the con, I'm (of course) a week behind on promoting the thirty first page in the second chapter of our ongoing Castle Greyhawk graphic novel. Follow the links above to get expansive exposition from wordsmith Scott Casper. Alternatively you can view the pages HERE, courtesy of Maldin's Greyhawk. There's one more page after this then we'll have to see what Scott has in store next for Castle Greyhawk! "...Are the plans for either Dragon or Dungeon Magazines?" "Right now, we don’t have anything to announce. Part of the reason we moved the magazines to an online format was the dramatic drop in the subscription base over the last few years. Bringing a digital magazine out on a regular basis is no small undertaking, either. So, we’re taking our time to make sure we have a good plan that puts material out there that people want and that makes sense from a business stand point." There's probably no sane reason for them to continue with the full magazine format anymore. The D&DI format of online magazines even seemed to stall during the 4e era so they went to breaking up the monthly slate into separately released articles (with non-essential content made free to read). Gygax Magazine showed (albeit quarterly) that people still care about classic printed game magazines, but their production and delays to get out is a headache that I can't see Wizards wanting in the digital age. Now a yearly collected "best of Dragon/Dungeon" would be smart and might even make a nice printed product, perhaps a GenCon exclusive if they wanted. "...are there any plans for which setting might be updated and revisited next? If not, and it was your decision alone, which setting would be the next to be supported and why?" "We don’t have any specific plans we can talk about now. When we look at setting support, we’re looking at more than just products. The various D&D settings have acquired robust, active communities over the years. It doesn’t make sense to simply bring a setting back into print unless you can also find a way to support that community and making it a vibrant, living thing. Personally, I’d love to see a big, Greyhawk hardcover sourcebook. The fifth edition rules system would work very well with Greyhawk. You wouldn’t need a lot of new class options, but the background system would be very handy for drawing out the differences between different regions. It would also be cool to get an in-depth treatment of the Free City of Greyhawk and the surrounding region. The original City of Greyhawk boxed set powered many of my campaigns in high school." Mearls is messing with my heart here, but this shows he is definitely in our camp so the chance definitely exists for a new Greyhawk launch. The key part of his answer is about supporting the community and making it vibrant. To bring Greyhawk back would require a Living Greyhawk type revival (Greyhawk Reborn anyone?) or a spin-off of their current version the Adventurer's League. Yeah it's not enough to put out a couple splatbooks and call it a day anymore. Wizards wants to drive a whole theme of stuff around it now (Tyranny of Dragons). The World of Greyhawk setting can more than provide this kind of an extravaganza. "...Are there any plans to perhaps update some of the classic earlier adventures to the fifth edition? If the decision was entirely yours what classic adventure would you like to see updated first?" "We definitely knew that people like having the option to update their favorite adventures. We’ll have some guidelines on converting material from prior editions in the fall. In terms of updates we publish, it’s a bit too early to talk about that. We know that classic adventures are a big part of what has made D&D great, and we want to embrace that going forward. My personal preference would be a deluxe update of the Saltmarsh series. It’s a fun trilogy that includes a nice variety of challenges and a nifty final dungeon against a band of sahuagin. It might not be an adventure that sits at the top of most gamers’ lists, but I’ve always had a fondness for it." More Greyhawk on Mearls' mind. I think converting previously published Greyhawk material to fifth will be a hot item this time around compared to fourth. Stay tuned this Fall! Again, check out the full interview HERE.